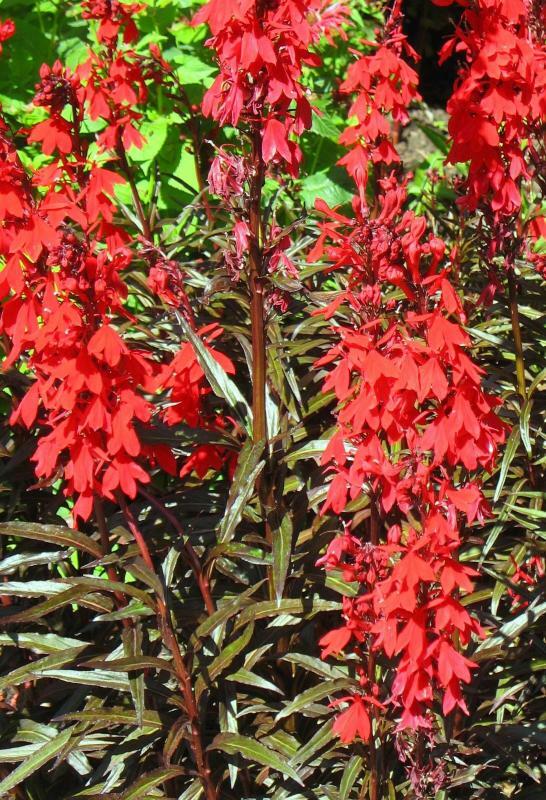 Lobelia Bees Flame is a newer variety of perennial Lobelia. 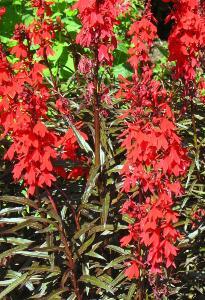 Colourful beet root-red foliage which produce spikes of large, bright scarlet flowers during July to October. 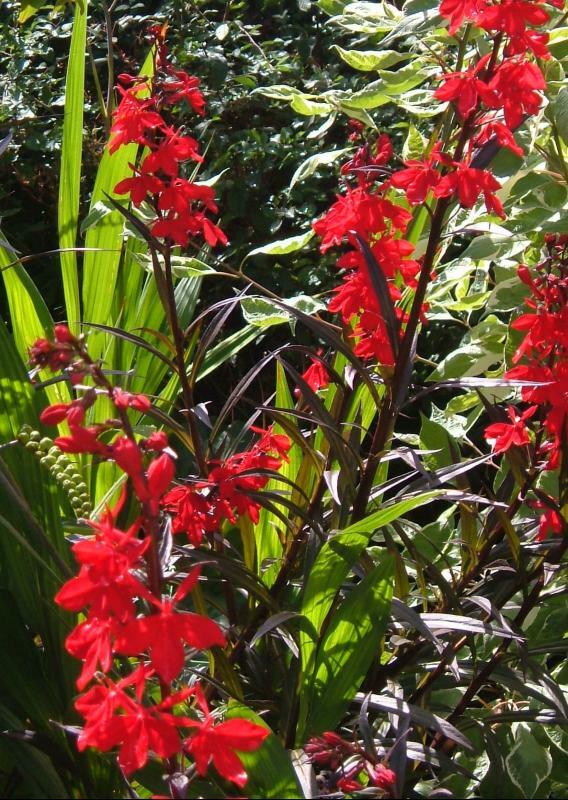 Grows best in part sun and moist, well drained soil. Hardy. Height 0.80m. Supplied in a 9cm pot.